In our fifth iteration of this article, I’d like to welcome those of you rekindling your annual interest in college hoops. I get it. Bowl season is all but finished. The doldrums of the NBA season are upon us. The NHL isn’t walking through that door. Conference play is heating up, and college basketball is a better between-NFL-playoff-weekends activity than listening to 96 consecutive hours of talking heads debating the pros and cons of playing home games at Lambeau Field. I’m not here to judge your motives; I’m just here to proactively help you fill out your bracket by ensuring you’re aware of the upcoming games that will help define these tournament teams. If you’re new to the program, every Friday I preview the upcoming week in college hoops, nominating the 6-8 games that I think are most worth watching. Coupled with the elimination style bubble tracker that I am itching to start up in the next 2-3 weeks, we’re providing you a one-stop shop for all things March Madness. Stick with us through Selection Sunday, and you’ll know what to do from there. As previously advertised, Friday nights are rapidly turning into a college basketball wasteland. If you think the selection is bad this week, the best 3 games in the next 5 Fridays combined are Wright State @ Loyola (IL) and a home-and-home between Utah State and San Jose State. Make sure you spend the next half dozen Fridays wining and dining your significant other to ensure you still have one by the end of March. 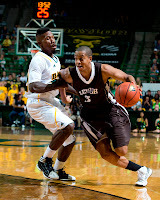 It’s incredibly unlikely that either Cleveland State or Valparaiso could score an at-large berth out of the Horizon, but with Illinois-Chicago dropping like a lead balloon, my best guess is that it’ll either be Detroit or one of these two teams that secures the league’s auto bid in March. 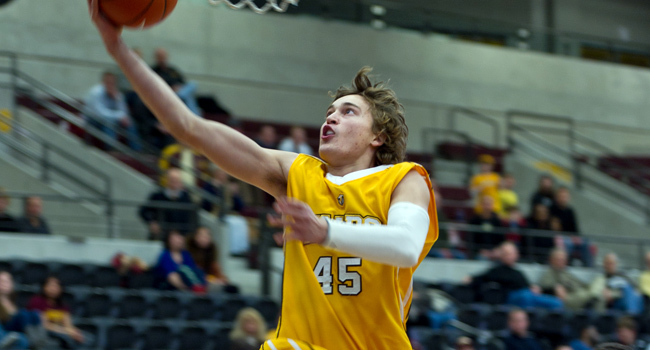 If you insist on watching this game, keep an eye on Ryan Broekhoff. The 6’7” senior from Valparaiso is 2nd in the Horizon in scoring, 1st in rebounding, and has a triple slash over the past 3 years of 49/42/82; yet he doesn’t appear in Chad Ford’s top 100, confirming long-held suspicions that Chad Ford doesn’t watch college basketball. In the Friday night game you’ll actually want to watch, Memphis @ Tennessee will be decided by whichever team can establish their preferred pace. Neither school shoots the ball particularly well, but they’ve come to different conclusions on how to combat that. Tennessee is especially awful, tallying a 28% success rate from long range, which puts them 319th in the nation in that category. Rather than hope and pray they can shoot their way out of what has been a season long slump, the Volunteers play solid defense and do as much as they can to take the air out of the ball on offense, averaging just north of 50 field goal attempts per game (compare that to 63 FGA for VCU). Memphis, on the other hand, plays at more of a “reckless” pace (57.4 FGA per game), hoping to offset poor shooting by forcing a lot of steals (10 per game) and turning them into uncontested layups. If either team scores 65 points, Memphis will win; if neither team scores 60 points, Tennessee will win. If you can only watch one: In the pre-season, many people had this Saturday afternoon pegged as a prime opportunity to figure out who the 2nd best team in the Big 12 will be this season, and while that’s still the case, the participants have changed. Texas and Baylor is still an intriguing game, but it doesn’t even compare to Oklahoma State @ Kansas State. Though they lost the game, I came away from Oklahoma State’s battle against Gonzaga with even more respect for the Cowboys. Their leading scorer was simply off his game, their leading rebounder was hampered with foul trouble, and they still came within some late game free throws of knocking off a team that everyone is fraudulently declaring their Final Four sleeper (dually fraudulent, because it’s not a sleeper if everyone is picking it, and Gonzaga isn’t going to the Final Four unless they get the most favorable draw of the past decade). My biggest complaint about Oklahoma State is everyone else’s favorite attraction: Marcus Smart has a tendency to get careless at times. Smart forces a lot of turnovers, but also commits more than his fair share, a stat which doesn’t even include the 2-3 horribly ill-advised shots he takes every game. And with his 2.6 steals per game, he’s also racking up 3 personal fouls per game, which could become a legitimate problem now that he’ll be facing more skilled point guards in conference play. 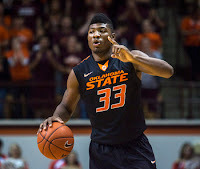 If he can reduce the fouls (and keep his minutes high as a result) while recognizing that being relatively open isn’t always justification for taking a 20+ foot jumper with 20+ seconds left on the shot clock, Smart could lead Oklahoma State deep into the NCAA tournament (deeper than Gonzaga will go, at any rate). I’m not nearly as convinced of Kansas State’s staying power, but what do I know? They lost relatively badly to Michigan and Gonzaga; struggled mightily with Delaware, George Washington, and UMKC (a combined 15-25 at the moment); and beat Florida in a game we’re all still trying to make some sense of. All in all, the Wildcats are 11-2, ranked 25th in the latest AP poll, and make just as much sense as a top 3 finisher in the Big 12 as anyone else in consideration for the honor. In this particular game, I think free throw shooting will be their downfall, which certainly hasn’t gotten any better since Frank Martin left town. 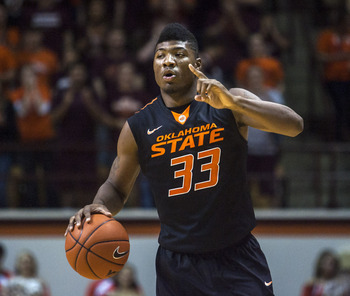 If I keep predicting scores, I’ll eventually get one right – give me Oklahoma State 73-70. Going rapid fire on the other early games: the illusion that Maryland is a legitimate one-loss team will continue for one more game against a Virginia Tech team that had quite the horrendous 3 week stretch to close out December; Georgetown’s cartoonish length should be enough to stifle Marquette, even if they haven’t played in 2 weeks; trying to predict the outcome of Texas/Baylor is literally a waste of keystrokes, but it should be a good game to watch the end of; Ohio State and Illinois determine who is the most overrated team in the Big Ten (I still absolutely say it’s Illinois); and I like Miami to open their ACC season with a win over the Yellow Jackets. If you can only watch one: Gonzaga @ Santa Clara should be a great game, but we need to show some love to Lehigh, because we might not get another chance. Besides, I’ve written about Gonzaga in 3 of the past 4 weeks, and I think we’ve determined that they’re a pretty good team that takes high percentage shots and has little to no interest in playing defense. You would be wise to consider their post-season ceiling equal to that of the mid 2000s Phoenix Suns – fun to watch, but they’d have to get pretty lucky to advance past a true upper echelon team. Anyway, as a Duke fan, it pains me to recommend watching this game, because Duke has won at least 1 tournament game in each of the past 15 years, except for the years that they drew VCU and Lehigh in the first round (or the round of 64, or the second round, or whatever the hell they call it anymore). Regardless, CJ McCollum is leading the nation in scoring and VCU is leading the nation in steals, so it should be a fun, fast-paced game. Barring some sort of completely unforeseeable disastrous A-10 season, VCU will almost certainly make the NCAA Tournament, but Lehigh is almost certainly going to have to beat out Bucknell for the Patriot championship, as neither team has beaten anyone worth mentioning in their pre-conference schedule, and that won’t change for either of them this weekend. I like VCU to win 94-85. In the other Saturday “night” games, UCLA will continue establishing itself as the best team in the Pac-12 while Stanford continues establishing it’s anything but; Missouri will hand Bucknell its 3rd loss of the season by a margin of 30+ points; West Virginia will exact revenge for the neutral court loss Oklahoma handed them earlier this season; I like Santa Clara to pull a slim-margin upset over Gonzaga; and Northern Iowa’s season will be put on life support after losing @ Illinois State and dropping to 0-3 in the Valley. 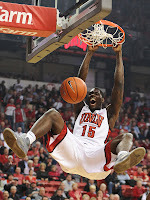 If you can only watch one: You should totally watch the game I’ll be at – UNC @ UVA. 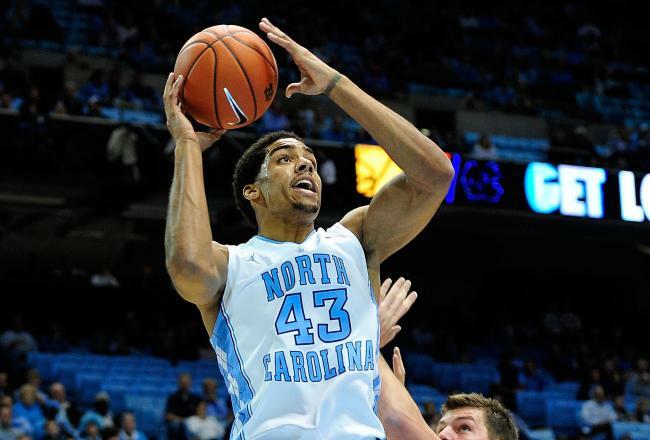 UNC scores (83.6 ppg), rebounds (44.8 rpg), and distributes (19.5 apg) the ball better than anyone in the country (the only other schools in the top 20 of all 3 categories are Syracuse, Indiana, and surprisingly Iowa State), but for whatever reason, they’ve struggled to take that show on the road, save for the blowout wins over Mississippi State and Chaminade. There’s really no other possible reason that this game should be decided by less than 25 points. Virginia is nowhere near as good as their 10-3 record might otherwise indicate – they went 0-3 against the CAA over the past 2 months – and, regardless of the “Road games in conference are always difficult” axiom, would not provide much of any resistance to a team equipped to make a deep tourney run. If we’re going to trust UNC to do anything this March, we’ll need to start seeing it this Sunday. Elsewhere, Iowa is better than your average team, but nowhere near good enough to finish top 5 in the Big Ten, which should become obvious after they get smoked @ Michigan; similar story with Temple getting plastered by Kansas, however, they might be the A-10’s best chance of keeping one of the newcomers (VCU/Butler) from winning the league (Can we just switch up these games so Iowa plays Temple and Kansas plays Michigan? Those games would be much more competitive. ); and if I had written this article a week ago, I would’ve confidently predicted ASU and OSU to win the late games, but after the Sun Devils’ home struggles with Utah and the Beavers’ home loss to Towson, I like the road teams to pick up their first Pac-12 wins of the season. If we can only fire one person in 2013: It has to be the guy responsible for not rescheduling the Notre Dame/Cincinnati game. Neither school has another game in between the surrounding Saturdays – they could easily re-schedule it for Tuesday or Wednesday rather than having the second half of the game run into the kickoff of the National Championship game. What self-respecting Notre Dame fan/alumnus is going to watch the end of the basketball game instead of the football game? And how annoyed must the ND basketball players be that they’ll have to watch the football game while traveling back to South Bend? Worst of all, what about the rest of us who have to choose between watching Notre Dame or Notre Dame on a Monday night? What a disaster. I’m picking Cincinnati based entirely on the extracurricular circumstances. In the Tuesday night games, Pitt/Georgetown has much more “Oooh, good game!” intrigue, but I’m extremely curious to see what happens when Purdue hosts Ohio State. Purdue already knocked off an overrated Illinois, but will they be able to take care of business against a possibly overrated Ohio State? It’s been feast or famine for the Buckeyes: 0-2 in close games against very good opponents, and 11-0 against 11 teams that won’t be in the NCAA tournament (with the possible exception of Albany). They’ll certainly get their fill of quality opponents in the Big Ten, but this week’s road games against Illinois and Purdue should quickly tell us whether they’re really a top 10 team. If you can only watch one: Do your best to find one of the Mountain West games. Boise State and Wyoming have been the two biggest (positive) surprises of the season to date, and now open the Mountain West season by putting each other to the test. I won’t even pretend to know a damn thing about either team, but I do know that 3 of the Mountain West’s tourney bids have likely already been spoken for by New Mexico, San Diego State, and UNLV. I find it hard to believe that a 9-team “mid-major” could send 5 teams to the tournament, so these 2 pre-season afterthoughts will be battling Colorado State for what should be the Mountain West’s 4th and final bid, with the winner of this game (Boise State) becoming the immediate front-runner for the invite. 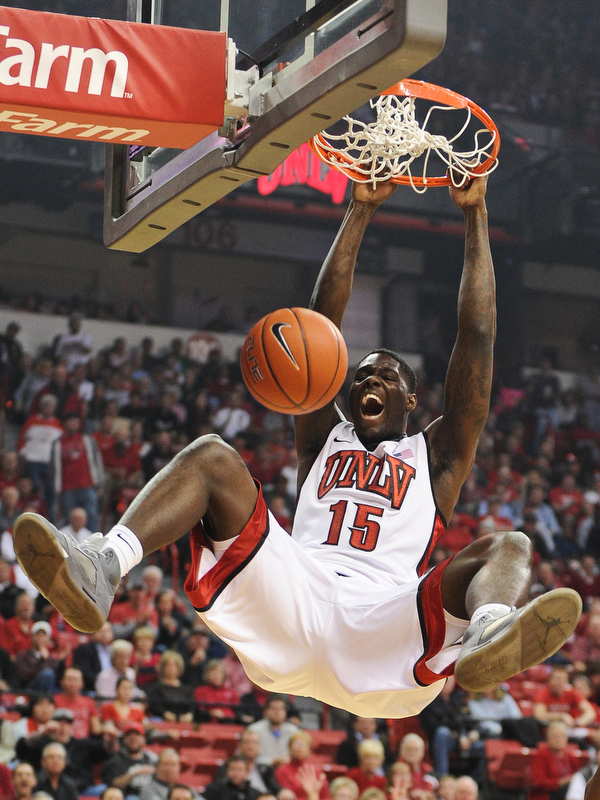 If you prefer better basketball between better known teams, freshman Anthony Bennett has been borderline unstoppable, and is leading a superior UNLV team into a hornet’s nest in New Mexico. When the Rebels and Lobos play at UNLV on February 9th, UNLV will win by 15+; but The Pit is no joke, and I’ve got UNM winning by 3 in OT. Also taking place on channels you might actually be able to find, Louisville will display its dominance as a future #1 seed by comfortably winning at Seton Hall; Iowa State will put up a respectable fight, but quickly realize that nobody wins at Allen Fieldhouse; Butler will have its hands full with St. Joe’s, but should emerge with a victory; VCU will extend its winning streak to 10 games without much opposition from Dayton; Eastern Kentucky hosts Murray State to potentially become the team to beat in the Ohio Valley; and I will finally get to stop talking about how overrated Illinois is when they open the Big Ten season 0-3 and drop out of the polls altogether. If you can only watch one: DVR the Gonzaga game to watch the next day and find the Massachusetts/Saint Louis game. 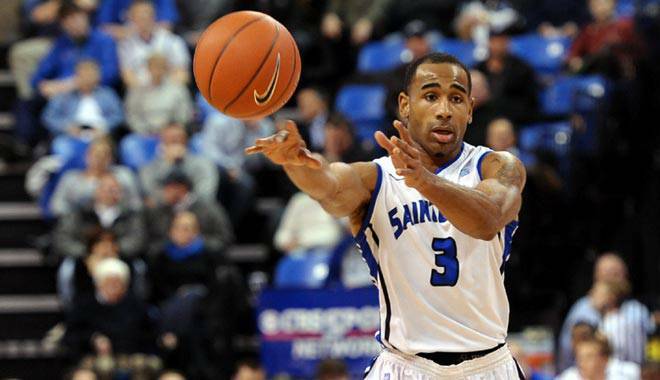 The Billikens manhandled New Mexico on New Years’ Eve, despite getting just 4 points from Dwayne Evans (who was leading the team in scoring before the game) and just 5 points from Kwamain Mitchell (in just his second game back from injury, but unanimously regarded as the team’s best player). I guess it helps when you have one of the stingiest defenses in the country (54.7 points allowed per game). Massachusetts, on the other hand, has been one of the most hotly debated teams on Joe Lunardi’s twitter feed, and I can’t figure out why. Next to a season-opening win over Harvard, the best thing about their resume is that their 3 losses came against relatively respectable opponents (NC St, Tennessee, and Miami), but go ahead and ask Northwestern fans if not losing to bad opponents is worth as much as beating quality opponents. When Saint Louis wins by a score of 69-58 – I swear I’ll get one right eventually – perhaps it’ll shut up most of those “What about UMass? !” trollers. Rounding out Thursday night, Iowa will score an upset over Michigan State; North Carolina will look very, very good at home against a Miami team trying to figure out life without Reggie Johnson; Temple will bounce back from the KU beating by delivering one of their own to Xavier; Oregon will end Arizona’s perfect season (and the refs won’t be able to overturn it); Saint Mary’s will expose Gonzaga’s weakness (trying to defend a team with perimeter prowess) in dealing the Zags their second loss of the week; and someone will accidentally win the ASU/OSU game.